Twin City progressive classical/jazz quartet Jelloslave occupies a unique place in the local music scene. It is a far cry from the madding crowd of the sweat and booze soaked madness of the bar scene and yet not quite completely buttoned down and proper enough to be adult contemporary either. It’s an in-between area occupied by Serious Musicians making Serious Music. 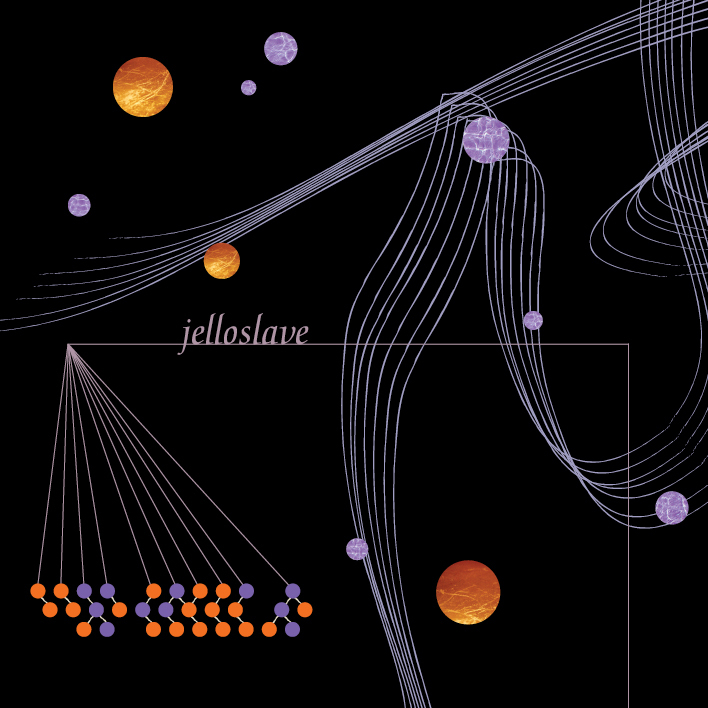 Much like locals the Bad Plus or Happy Apple, Jelloslave is too obscenely talented to create anything but creative, forward-thinking orchestrations. So it makes sense that those who are bound to enjoy Jelloslave’s music are the ones who have an appreciation for that sort of thing. People who have taken music theory classes. People who listen for polyrhythm’s instead of the hook. People who own recordings by Buffalo Collision. But that isn’t to say that the rest of us can’t enjoy them as well. Jelloslave have a new record out called Purple Orange, and though it will likely find its largest audience in the aforementioned highbrows, it is also accessible enough to be enjoyed by wider audiences as well. The band’s unique mix of intense cello sawing (played by Jacqueline Ultan and Michelle Kinney) and Indian and Caribbean influenced percussion (Greg Schutte on the drums and Gary Waryan on the tablas) make for an interesting blend of classical, jazz, and Eastern music. Ultan and Kinney’s strings hiss, groan, and shriek like live things making up for a lack of vocals with virtuosic and unpredictable dynamism. The aggressive percussion, while in the backseat, is full of expertly crafted rhythms. The tablas especially pop, anchoring the cello freak outs to a solid bedrock of world beats. The diverse array of songs wanders through a universe of sound (including covers of Joy Division’s “Love Will tear Us Apart” and Leonard Cohen’s oft covered “Hallelujah”). At times every sonic stitching seems so seamless that one almost wishes for more ugly little pieces of discord to shake things up but as far as classical/jazz hybrids go the band doesn’t play it too safe by far. Purple Orange is bound to end up being one of the better recordings released locally this year, though its heady pretext may hold back some from giving it a chance. That would be a shame though since most of us could stand to listen to more of this kind of music. Jelloslave will be playing two CD release shows next weekend (April 2nd and 3rd) at the Open Eye Theater.